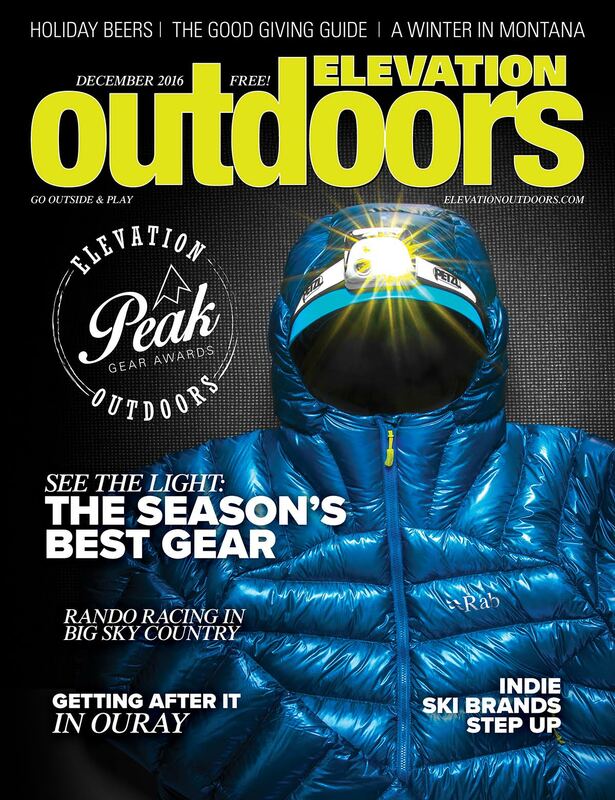 The December Issue of Elevation Outdoors is Live! Yes, we have to talk about it. The big-brand ski industry may have just made it easier for indie players. Essential beta on the Ouray Ice Park. Download the ViewRanger app and hit Leadville’s fat-bike singletrack. Professional split-boarder Rachel Reich on how she got that title. Sturgill Simpson, Bon Iver, Bob Weir: Ring out the best music of 2016. Montana guide Drew Pogge breathes in the changes of a season of snow. How to salvage this crap year. The rowdy COSMIC ski mountaineering race series makes some serious inroads up in Montana. Climber Pete Takeda takes his ice axe and crampons up to the frigid, poutine-eating wilds of Canada. Can’t figure out what the adventurous man or woman in your life needs? These recommendations are winners. Twice a year, we poll our outdoor-obsessed contributors to determine the gear that meant the most to us when we were beating it up out in the wild. Come meet the winners.